I was thinking about if humans one day were able to control the weather and climate of our planet, what kind of climates and range of climates would we want to create? I know most people focus on current climate as possibly ideal but as everyone knows, climate averages are only a snapshot in time and climate is always fluctuating. So, what kinds of climate/climates for cities around the world would be ideal if we could control what climate they had? I'm not saying drastic changes mostly cosmetic I think.. but more important maybe limit extreme events. I'm thinking maybe making climates not deviate from their averages much. Why would anyone want that? Extreme weather is part of what makes life worth living for a lot of people living in those climates, a classic case being a 20-inch snowstorm in northern Virginia. Besides, centralized weather control would politicize the weather - political parties for heat-lovers and cold-lovers would pop up in short order. Just the thought of it makes my stomach hurt. 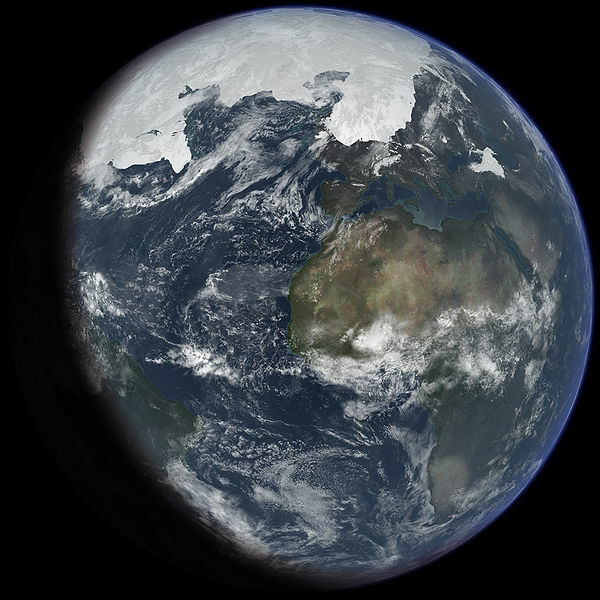 As for the ideal climate for the Earth, how about the most common climate regime of the past few million years? Life got along just fine then and it was the cradle of human evolution. Any global climate regime that produced a species like us can't be that bad . Extreme weather events cost many human lives and billions of dollars around the world annually. Who is going to pay for that? If we could stabilize the weather so we have no more wildfires, hurricanes, tornadoes and predictable precipitation patterns which make it easier for things like agriculture. There will be no more droughts or floods. If controlling the climate means that, I'm all for it! probably a completly homogenus climate, with an average max of 20C and an avarage min of 12C. moderate, evenly distributed rainfall. then of course, you could have small touristy areas with other climatic conditions suited for the activities there. No. Absolutely no. If we can start controlling the weather, then all interest in the weather is lost and forums like this will wither away and die. I concur with dunno. Weather is interesting. I would like to point out that banishing all risk and challenge from human existence will set us on a path towards being Eloi instead of Homo Sapiens. There are those who like and depend on weather other than 20/12C with moderate rainfall. The number and cost of all of the pain and suffering lawsuits that would crop up would be unimaginable, not to mention the infringement of property rights (i.e. government controlling what weather occurs on my property). There's also the matter of lawsuits involved if weather-related damage does occur, such as changing the path of a hurricane. Also, the industries that benefit from post-disaster reconstruction might claim legal damages as well. There is also the possibility that government could use weather control or the lack thereof as a weapon against dissidents and other political enemies. I've given years of hard thought to the topic, and I've concluded that weather control on a massive scale would entail much the same consequences as opening up Pandora's Box. Deneb and others need to see the pitch-black storm cloud that lurks just beyond the immediate rose-covered vicinity. Good points Patricius. It could become a very sticky political situation. However, that being said I think most people wouldn't like a Cat 5 Hurricane or an F5 Tornado barrelling down on them.